We Want to Visit Alaska This Summer…. We want to visit Alaska this summer, what should we do? I love answering this question and am delighted to have friends and family asking right now. As I find myself repeating my scattershot answers, it occurred to me that it could be useful to collect some thoughts here. Until David’s Portland-based engineering company landed a contract in Alaska in Fall 2011, I’d never given any particular thought to the land of the midnight sun. I didn’t know very much about it, and didn’t particularly care I guess. Indeed, I had very little imagination when I landed in Anchorage for the first time in May 2012. I didn’t know #alaskamagic was a thing. David and I didn’t have seats together on the plane as we flew in that night. 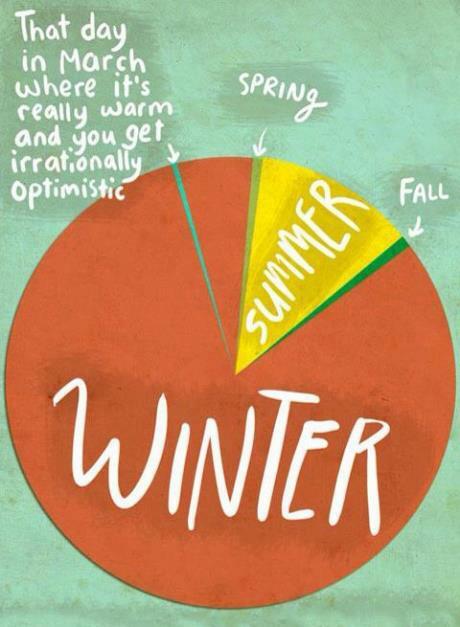 My seat mate was returning home after some time away and he kept talking about spring as we made our descent. I had no context for the anticipation this guy was feeling. 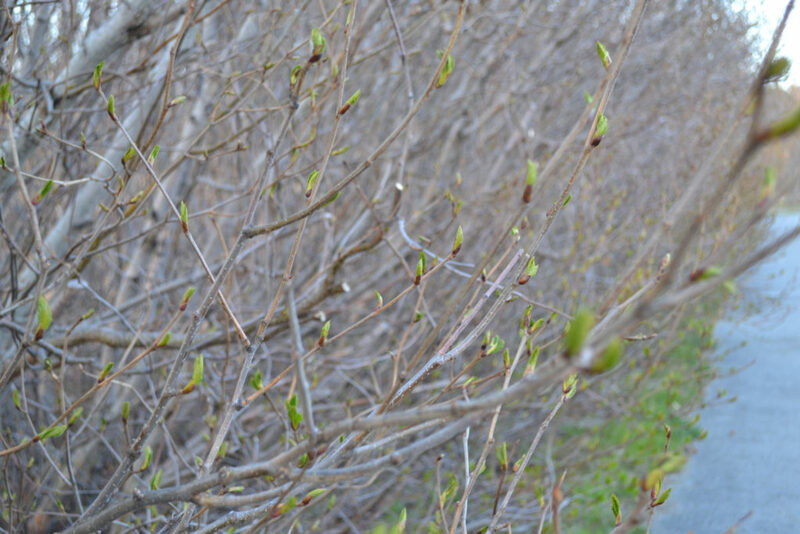 Having just left my home in Portland, a rich, green landscape bursting in full bloom, I didn’t know anything about living in a place that had snow and ice on the ground for month after month after month, and more. My seat mate said his wife told him the trees were beginning to bloom, and he was excited about the dramatic changes he promised I’d see during my few days of lots of light in Anchorage. I didn’t understand. And then we landed. At about 9:30p, it would still be nearly an hour and half before the sun set! David had to work the next day so we got our car and went to our hotel where we pulled the blackout curtains to make night. Weird, right from the start. Before this trip, I’d asked a couple friends for suggestions for how to spend my time in Anchorage while David was at work. 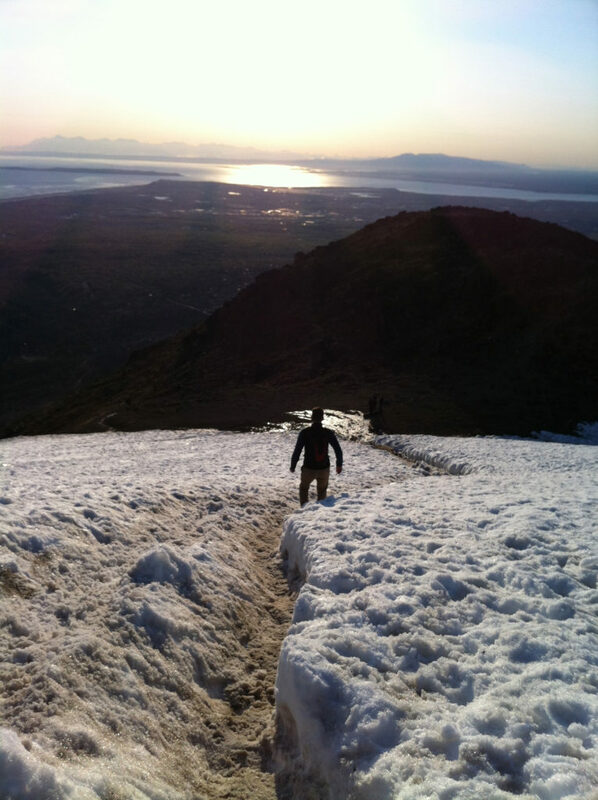 The Coastal Trail, Kincaid Park, Flattop, Turnagain Arm, the Museum, Snow City Cafe, Mooses Tooth, Fire Island Bakeshop. 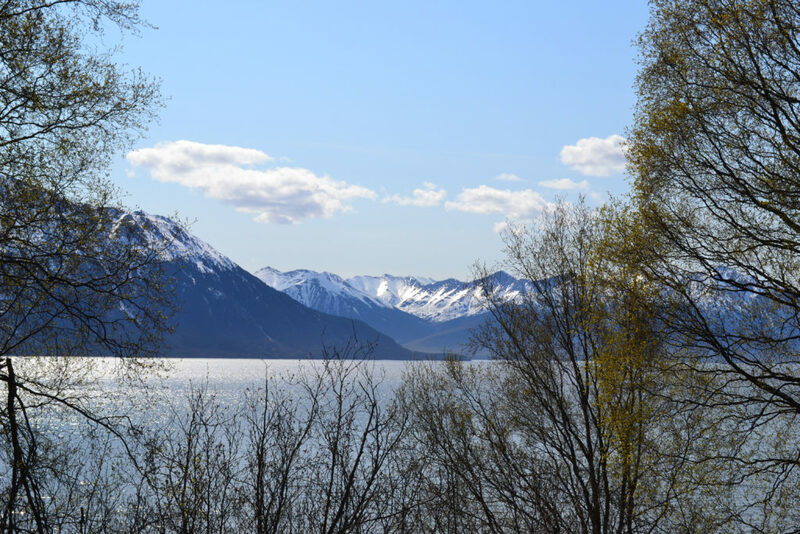 Their overlapping lists got me off to an excellent start (my afternoon drive down Turnagain Arm was life-giving grace – a different story for another time) and all this stuff is part of our family’s regular life, six years later. 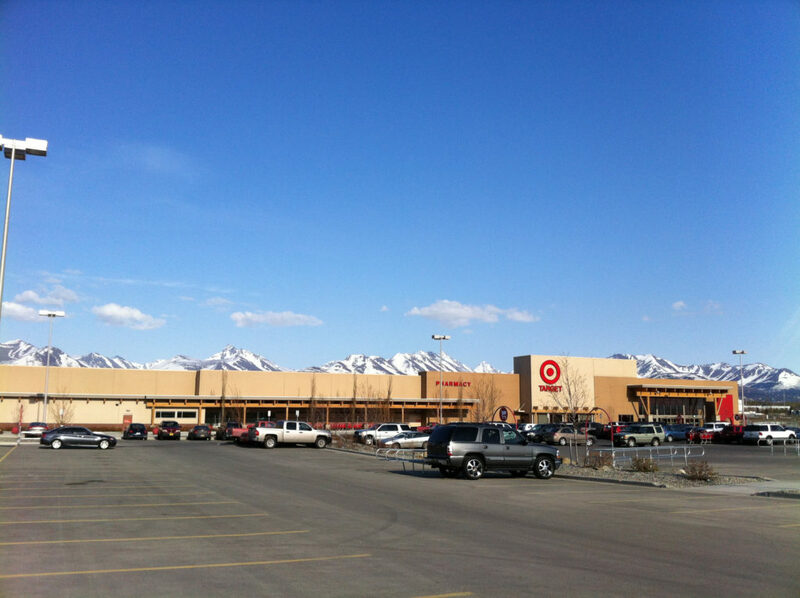 A few pictures from my first trip to Anchorage….. 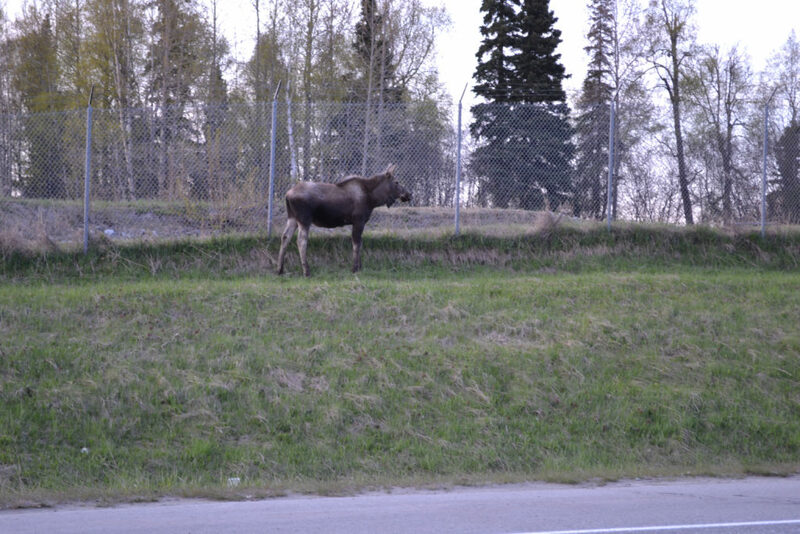 I saw my first moose while I was walking downtown, but didn’t get a picture. David and I saw this guy later as we were leaving Kincaid Park. Evening walk at Kincaid Park. We went to Mooses Tooth for dinner about 7:30 or 8p. The wait was long so we went on up to the Glen Alps trailhead and hiked Flat Top. We stopped back at Mooses Tooth for dinner after – about 10:45p. There was no wait, but the place was packed with people. A memory we still bring up when we explain how life carries on here in summer, late into the night. 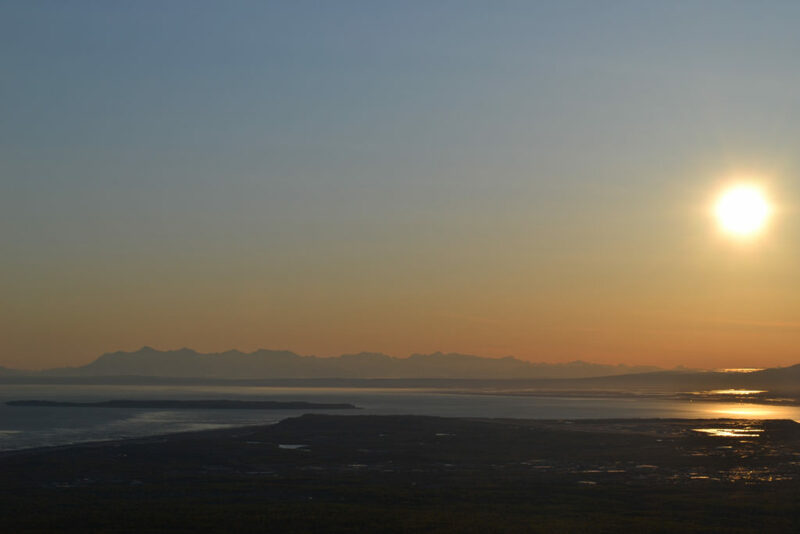 Looking out over the Alaska Range and Sleeping Lady from our Flat Top hike. Regular life against an amazing mountain backdrop – every direction I turned. There are many pullouts on the Turnagain Arm stretch of the Seward Highway and I’m pretty sure I stopped at most of them. So. We want to visit Alaska this summer, what should we do? 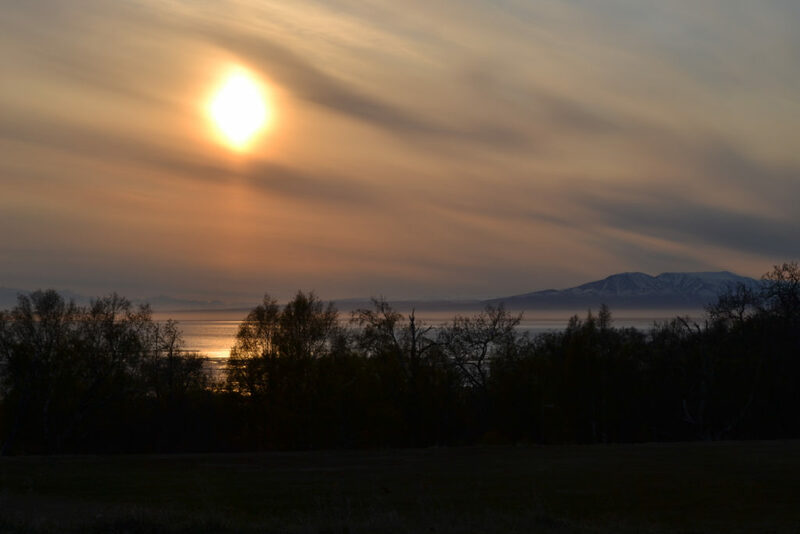 My first questions back >> What do you imagine when you think of visiting Alaska? >> How much time and money do you have? Stay tuned – I’ll start posting some suggestions.